Families in Brooklyn want to attend public school! That is the good news. Now the bad news - schools are finding that they don't have enough kindergarten seats to go around. In the late winter (this year from Jan. 10 to March 4) is the application period. Schools offer tours and zoned families as well as out of zone families who want to try for a spot at the school must apply for a seat. This is NOT REGISTRATION. It is a head count (although a required one). The school has no idea before this application period of how many children might attend in the following year. It is also a time to build a wait-list of families who want to gain entry from outside of zone if they have seats left over. From March 21 - March 25 the schools will notify in zone (and sometimes out of zone families if they have enough room) that there are spots open for them in kindergarten. From March 28 to April 15, they schedule times for the families to come into the school with their child, their proofs of address, birth certificate and immunization records to PRE-REGISTER. It is common practice for schools to save some small number of seats in reserve for in zone families that had no idea of the process, or for families who move into the zone after the application period is over through the spring and summer. It is also true that the G&T process as well as the wait-lists for Charter and Unzoned schools move throughout the spring and families who have pre-registered at schools with register at the other programs and their seats will become available at the zoned schools and the wait-lists there will move. This is an ongoing process through the spring and summer. What if you misunderstood the application process and didn't apply at your zoned school? You will probably be placed on a wait-list at this time (don't panic), just because you are in between processes. Keep in touch with the school. 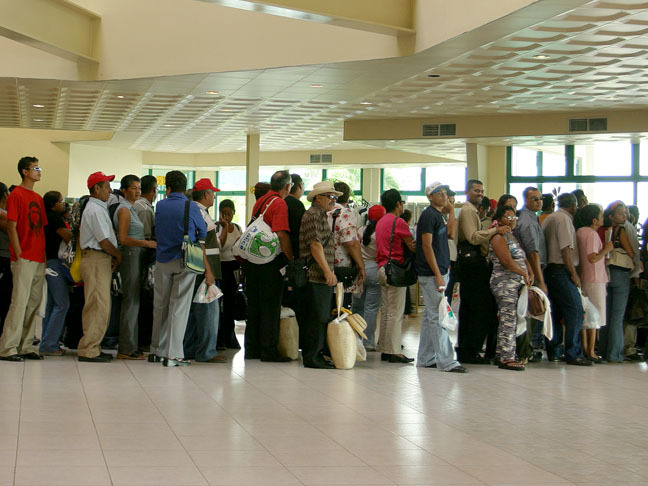 It is likely after the first wave of registration happens that you will be brought in to register. What if your zoned school says that they don't have room for you? This has been a problem in Manhattan and other boroughs for a couple years and in Sunset Park in D15 last year. 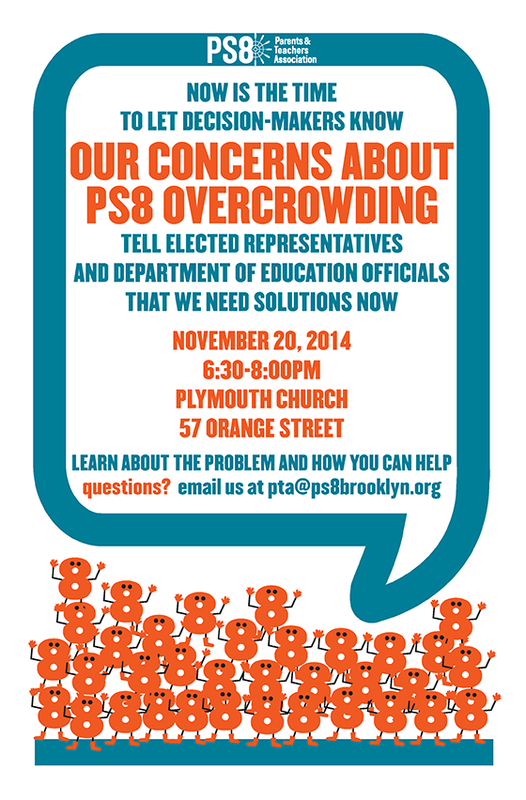 The popularity of the south slope schools is proving to be a problem for zoned families in PS 39 and 107 this year. Check out insideschools.org report , as well as gothamschools.org report from last year. "The way it has worked in Manhattan is that after April 15th, when pre-registration is over, the wait-lists will start to move. BTW 40 is not a lot on a wait-list (unless families tend not to go to private school or G&T). Sometime in May, if a family still remains on a wait-list, the Office of Student Enrollment will make an alternate offer to a school in the neighborhood that has room. The family can remain on the wait-list of the original zoned school until October of the start of kindergarten. If the family has still not come off the zoned school wait list by October 1st, the original zoned school may take no more students for that school year and everyone else who moves into the zone goes to the bottom of the wait list. Prior to September of 1st grade, if there is space in the original zoned school for 1st grade, then families who were placed elsewhere will be called back in order of their original lottery number. It is possible that there will still not be enough room for 1st grade. However, my guess is everyone or almost everyone will be placed by September of kindergarten and most likely by 1st grade." I did some very fast numbers based on the Accountability reports from last year. The schools I listed were ones that are not within range of the Magnet School for Early Childhood and they didn't seem to be breaking even on their preK/ K populations. Check out 107, 146, 261 and 321 in particular. As the buildings on 4th Ave. fill up 321 will need it's preK classrooms for K and the population at 124 and 295 will most certainly increase. Even if your children are too old for preK, I urge you to take a look at Melissa's petition. Help your neighbors! school budget cuts! There will be an opportunity for public comment. Teardrop Park after school to make signs. We don't have much time left to fight the budget cuts. Call your City Council Person TODAY and register your displeasure with the cuts. They vote on the budget this week. I will have more on the school capacity issue in a couple of days, but this is very serious, especially if you have toddlers and preschoolers in Dumbo, Brooklyn Heights, Fort Greene, Clinton Hill, Park Slope, Sunset Park and Williamsburg this is YOUR issue. It means very overcrowded classes especially in elementary school where they need to be smallest. It means that some of your children will probably have to leave your zone to find a public school, perhaps very far from your neighborhood. The DOE needs to see this issue for what it is. The Comptroller spelled it out in his "Growing Pains" report in May. The information that the DOE is working with is thoroughly flawed. There are not nearly enough seats in these neighborhoods for the incoming families. It is time to organize. Why Do I Grind My Teeth When I Read What Joel Klein Says? 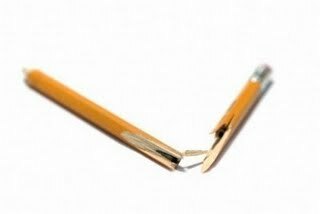 Read Brownstoner's interview with School's Chancellor Joel Klein with a #2 pencil in your teeth to prevent dental abrasion. Joel says, "The current Five-Year Capital Plan, which allocates funding for school construction projects, does not currently include new building construction in district 13 because district 13 overall is enrolled below the total district-wide capacity, even taking into account additional planned residential units. That said, there are some individual district 13 schools whose enrollment is over capacity. In the next Five-Year Plan, which we will put out in November and which begins in July 2009, we plan to look at the potential need for school construction based on demographic patterns within districts and the accessibility of existing schools. This will be a first: we haven’t previously drilled down below the district level." More teeth references! Drill Joel, DRILL. The whole story is in the demographic patterns not within the weirdly shaped District numbers as a whole. Being in a school where the DOE determined "capacity" was like watching an exercise in Alice in Wonderland logic. They go by the "Blue Book" instead of by the reality. From the Comptrollers Report, "In addition, the current Blue Book target capacity for middle schools assumes that standard classrooms (i.e., not art rooms, computer rooms, and the like) are in use for seven periods a day. However, teachers are required to teach for only five periods a day. Using each room for all seven periods thus would require an extremely complex scheduling process. It also means that teachers would have to use the teachers’ lounge for preparation, if one exists. In reality, therefore, it seems likely that many middle school classrooms are actually in use for only five periods a day, which means that the utilization figures reported in the Blue Book for middle schools are understated as a result of this factor as well. " Joel says, "It takes about 18-24 months to build a new school, depending on the scope of work; this doesn’t include identifying a site and designing the building. The timing for construction is established by criteria in the Capital Plan. We don’t “wait” to build until schools are overcrowded, at any rate." Hello, "321"! When are the families that bought into high rises on 4th Ave. in the 321 zone going to find out whether there is room for them? I suspect it will be on the first day of kindergarten. Yes, there are seats in District 15, but not in the schools that people paid dearly to be in. expected to start until June 2008 and the school is not expected to be completed until November 2010, according to the February 2008 proposed Capital Plan Amendment." Joel says, "families enroll their children in charter schools entirely by choice — in other words, students are never “zoned” to attend a charter school. This means that charter schools must compete with other schools for students and must educate students well in order to continue operating." This is true, but the families that go out of their way to seek out and apply for the lottery in a Charter School are also self selecting. They have to be informed and actively invested in their children's education. If they had the option of a quality zoned school I wonder if the Charter Schools would be so popular. Check out Brownstoners report on new Charter schools opening in Brooklyn. NYC Comptroller, William Thompson's Policy Report "Growing Pains" is fascinating reading (No, REALLY, and not just in a Dentist's Office - to stay with the metaphor) It was actually so thrilling for me to read the truth coming from a government agency that I wanted to get it printed and hand it out on street corners. Please, please take a look at it. Downtown Brooklyn, DUMBO. The 2005-09 Capital Plan provides for no new capacity in Brooklyn’s CSD 13, even though over 3,000 housing units are under construction or were recently completed in the PS 287 school zone alone; PS 287 had space for only 89 additional students in October 2006. PS 8 serves DUMBO and Brooklyn Heights, where hundreds of residential units were recently completed or are under construction. 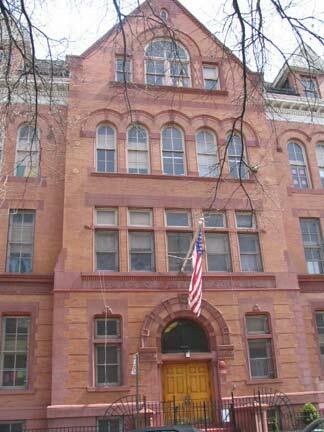 According to the DOE Blue Book, PS 8 was at 118 percent of capacity in October 2006. Sunset Park. Although four Sunset Park elementary schools exceeded capacity and the fifth was at 95 percent, no new elementary school seats have been proposed for this community. 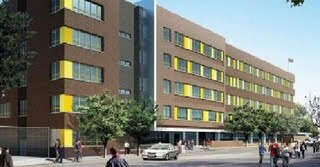 Sunset Park is in CSD 15, which is one of only four CSDs that the Grier Partnership projects will gain enrollment by 2015. I could keep quoting from it all day long. This report was issued in May and yet the Chancellor has the audacity to tell Brownstoner's readers that there are enough seats because the DOE is counting by Districts. This is fraud. Read it and then call your City Council person and Betsy Gotbaum's office and demand answers. While you are at fight the budget cuts.